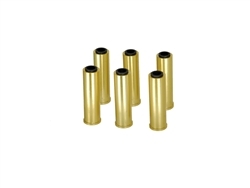 A set of realistic 6 metal revolver shells designed for use with Airsoft HFC gas revolvers. An all metal build with compression o-rings, you can load each shell with a BB and then load each shell into your HFC revolvers chamber. 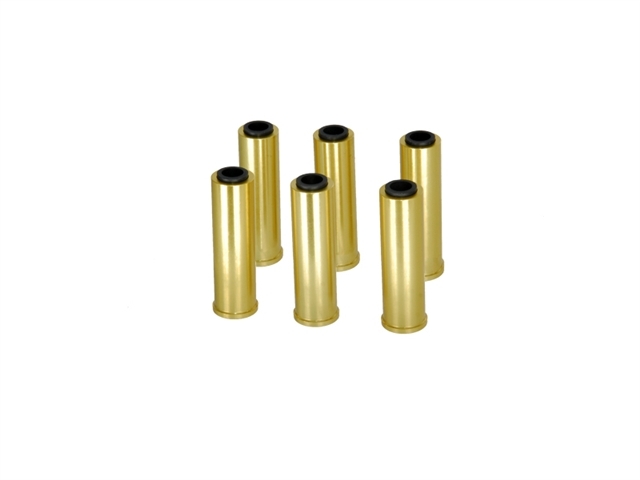 Finished in a shiny brass finish they add to the experience and thrill of using classic revolvers. Grab these to go with you so you don't have to ask yourself how many rounds do you have left or if you're feeling lucky.